Magellan College Counseling will host four workshops for rising seniors – students in the Class of 2017 – in August. Students should bring a laptop, a resume and a high school transcript (unofficial is ok) to each meeting. 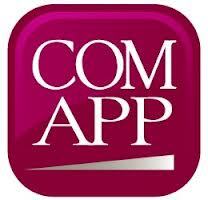 At the application boot camps, we will work on the Common Application, Coalition Application and the UC application. Street addresses will be e-mailed when your RSVP has been received. You can pay via check or Paypal. We’ll also host a final UC and CSU application workshop on Sunday, October 16th. Watch for announcements in the newsletter!